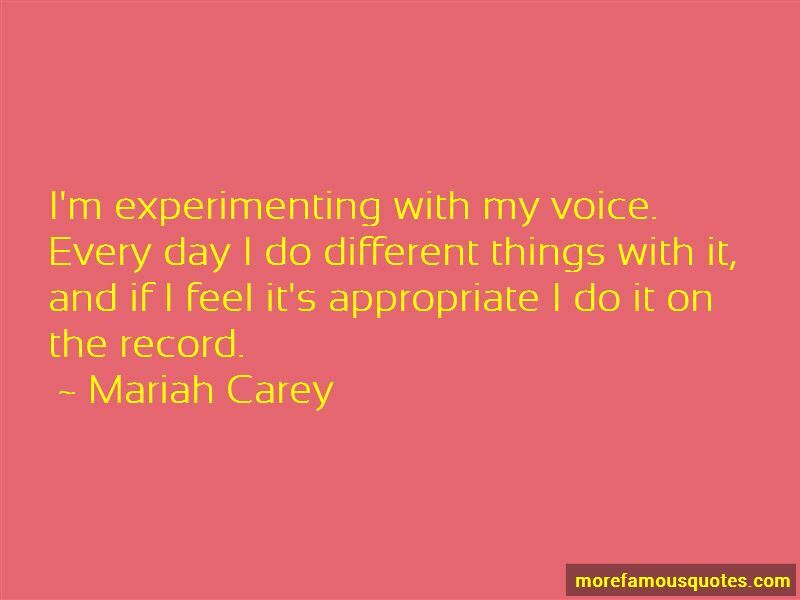 Enjoy the top 134 famous quotes, sayings and quotations by Mariah Carey. that a hero lies in you. when I had jock itch . Forget the image, forget the ensemble, forget the rumours, forget the short skirts, the big hair, whatever! I owe this to the fans and I will never forget you so I want to accept this award on behalf of all of you. My mother is Irish, my father is black and Venezuelan, and me - I'm tan, I guess. If you see me as just the princess then you misunderstand who I am and what I have been through. Basically, I started singing when I started talking. Music has just been my saving grace my whole life. I'm very hard on myself and I have too many issues. If you believe in yourself enough and know what you want, you're gonna make it happen. Whenever I watch TV and see those poor starving kids all over the world, I can't help but cry. I mean I'd love to be skinny like that, but not with all those flies and death and stuff. Cause there's a light in me that shines brightly. They can try, but they can't take that away from me. Being a mother is probably the hardest job in the world. I feel like, in a lot of ways, children come into the world to teach us. I know you're shining down on me from Heaven, like so many friends we've lost along the way. And I know eventually we'll be together, one sweet day. I'm experimenting with my voice. Every day I do different things with it, and if I feel it's appropriate I do it on the record. 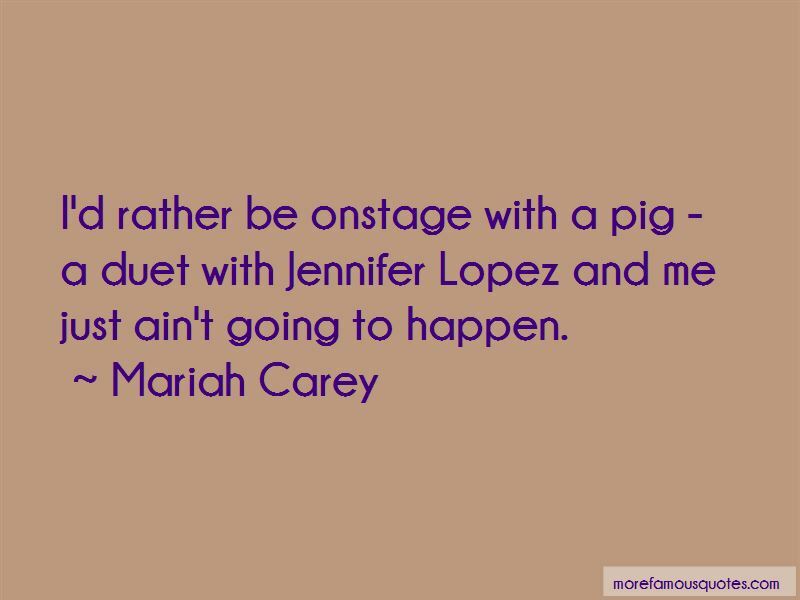 Want to see more pictures of Mariah Carey quotes? 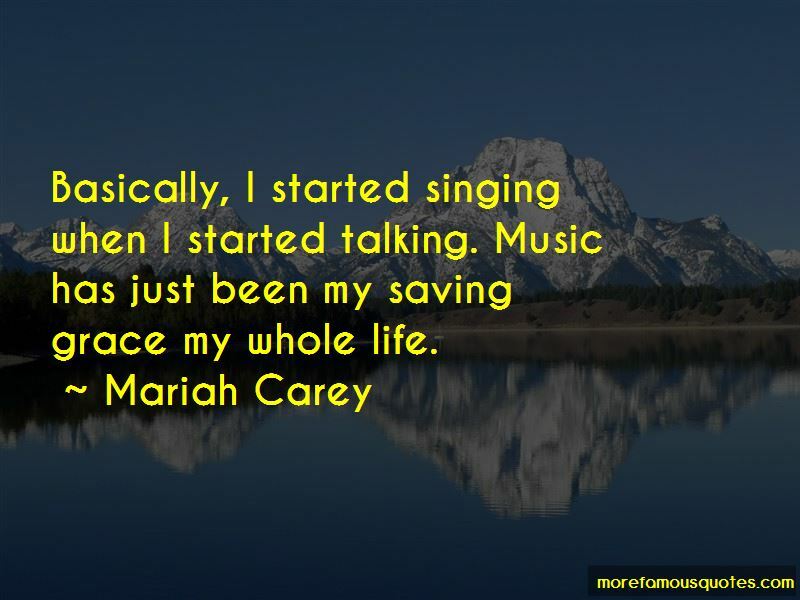 Click on image of Mariah Carey quotes to view full size.